Broderick Thompson had a standout season in 2014-15, finishing first in the Nor-Am Cup super-G standings. He also made his World Cup debut and earned his first World Cup points in the alpine combined in Wengen, Switzerland in January. Towards the end of the 2016-17 season, Thompson crashed in the downhill in Kvitfjell, Norway in February. He tore his LCL and sprained both MCLs. Luckily, he avoided needing surgery, instead undergoing intense physical therapy. He was ready to compete at the start of the 2017-18 season and posted his career-best result in December when he finished eighth in the alpine combined in Bormio. As a developmental athlete, Thompson had competed at the world junior championships in 2013, 2014 and 2015. His older sister is 2014 Olympic ski cross champion Marielle Thompson. July 1, 2013 was a very special Canada Day for bobsleigh pilot Chris Spring as became a Canadian citizen. He competed at his second Olympic Winter Games at Sochi 2014, but his first for Canada. Representing his native Australia, Spring piloted his two-man sled to a 22nd place finish at Vancouver 2010. He improved on that with a seventh-place finish in the two-man and a 13th place finish in the four-man at Sochi 2014. Following the 2009-10 season, Spring began representing Canada. The 2011-12 season was to be his first full year on the World Cup circuit. A regular top-10 finisher in the first half, his season came to an end in January 2012 when he lost control of his four-man sled during a training run on the technically demanding track in Altenberg, Germany. Spring sustained a major puncture wound to his buttocks and upper leg area from debris that came through the bottom of the sled. He was airlifted to hospital in Dresden where he received 18 staples to close the wound and remained for eight days. Returning to World Cup competition in 2012-13, Spring had his breakthrough when he won four-man bronze in Whistler. Spring earned his first two-man World Cup podium in the 2013-14 season-opener in Calgary. He got his first World Cup victory in January 2016 in the tw0-man with Lascelles Brown in Whistler. In December 2016, he stood on the podium in both the two-man and four-man events at the World Cup in Lake Placid. Spring finished third in the 2017-18 World Cup two-man standings, with his season highlighted by a victory in Whistler. He also posted two podium finishes in the four-man event. Simon d’Artois made history at the 2015 Winter X Games in Aspen when he became the first Canadian man to win the ski halfpipe event. That came a year after the disappointment of not qualifying for Sochi 2014. Until those X Games, d’Artois had no podium finishes in any major event. But injury trouble struck later that year as he underwent surgery in June to reconstruct his left ACL, MCL and meniscus. Then in September 2016 he broke his left ankle. He returned to competition at the 2017 X Games and went on to compete at the PyeongChang 2018 test event before making his second career appearance at the FIS World Championships. D’Artois earned his first World Cup podium finish in September 2017 when he finished third in Cardrona, New Zealand. He added another bronze at the World Cup in Copper Mountain, Colorado in December 2017. Since discovering halfpipe skiing when he was 14, Noah Bowman has become one of the athletes to watch. He finished fifth in the event’s Olympic debut at Sochi 2014. Bowman competed in his first World Cup in January 2009 and earned his first World Cup top-10 result in March 2011. He stepped onto his first World Cup podium in March 2012, winning silver at Mammoth. He went on to post a career-best sixth-place finish at the world championships in Sierra Nevada, Spain. Bowman recorded his fourth career World Cup podium in December 2017 when he finished second in Copper Mountain, Colorado. Rosalind Groenewoud, or “Roz G”, as she’s known in the action sports world, took over from her late hero and role model Sarah Burke as a world leader in women’s ski halfpipe. Groenewoud finished seventh in her event’s Olympic debut at Sochi 2014. After making her Winter X Games debut in 2008, Groenewoud made a gradual move up the ranks, finishing third in both 2010 and 2011. Less than two weeks after that second bronze medal, she claimed gold at the 2011 FIS World Championships. But Groenewoud has never been prouder of her skiing than she was at the 2012 Winter X Games in Aspen. Her friend and teammate Burke, who had been an active lobbyist for the inclusion of ski halfpipe on the Olympic program, had passed away on January 19 after a training accident. Just over a week later, tribute was paid to four-time Winter X Games champion Burke and Groenewoud decided to let the love shown by those in attendance lift her up. Wearing a red “Sarah” sticker on her helmet, Groenewoud performed the biggest air of the competition and won gold with an X Games record score of 93.66. She went on to win gold at the X Games in Europe as well, becoming one of just three female halfpipe skiers to win both X Games gold in one year. In December 2013, just seven weeks before Sochi 2014, Groenewoud underwent arthroscopic surgery on both knees. She recovered to win her second straight X Games silver in Aspen in late January 2014. At the 2015 X Games, Groenewoud endured her first career season-ending injury when suffered a concussion and whiplash. It was eight long months before she was cleared to return to snow. Then in January 2016, she blew out her ACL, MCL and LCL, leading to an almost year-long recovery after surgery. Another injury followed in December 2017 when she broke her humerus during a training run at Dew Tour. Over the years Riddle has competed in events hosted by both FIS and the Association of Freeskiing Professionals (AFP). He won FIS’ top prize in 2011 when he captured his first world title. He had one of his best overall seasons in 2012-13, earning the Crystal Globe as the overall World Cup champion for ski halfpipe. He was on the podium in three of his four World Cup starts, including two victories and a third place finish at the Sochi 2014 test event. He also finished fourth in two important events, the FIS World Championships and the Winter X Games Europe. Riddle claimed his eighth career World Cup podium and fourth World Cup victory in Tignes, France in March 2015. In late February 2016, Riddle tore his left hip adductor and broke his pubic symphysis while training for the Winter X Games in Oslo. He was unable to ski for six months. During his comeback season in 2016-17, he broke his scapula in early January and then re-broke it at the PyeongChang 2018 test event where he finished sixth. Despite not being fully healthy, he capped the season with a silver medal at the FIS World Championships after being the top-ranked skier in the qualification round. Cassie Sharpe announced her arrival as a major podium threat when she won silver at the 2015 FIS World Championships. Because the timing conflicted with the Winter X Games, her success was discounted by many who felt that she hadn’t competed against the world’s best halfpipe skiers. But Sharpe proved she was no fluke by winning her first World Cup gold medal just a couple of weeks later against a full field in Tignes, France. In January 2016, Sharpe made her X Games debut with a fourth-place finish in Aspen. She unknowingly competed with a stress fracture in her back that had occurred in December 2015 but wasn’t diagnosed until an MRI after the event. Wearing a back brace to hold everything together, she went on to win X Games gold in Oslo in late February. Returning to Tignes, France in March 2017, Sharpe earned her second career World Cup victory. While attempting a new trick during qualifying, she hit the deck and badly broke her thumb. She taped it up to compete in the final and after securing the gold medal became the first woman to ever land a switch cork 720 in competition. She later had surgery to reconnect the ligament and remove a bone fragment in her thumb. Sharpe opened the 2017-18 World Cup season with a victory in Cardrona, New Zealand. She also stood atop the podium in Snowmass, Colorado in January 2018. In between she won gold at the Dew Tour. A member of the powerhouse Canadian men’s moguls team, Marc-Antoine Gagnon made his Olympic debut at Sochi 2014 where he just missed the podium with a fourth-place finish. In both 2011-12 and 2012-13, Gagnon was one of three Canadian men to end the season ranked in the top five of the World Cup moguls standings. Gagnon had made his World Cup debut in January 2011, posting a top-10 result. In August 2015, he dislocated his shoulder while training in Australia. After trying to compete through the injury, he underwent surgery in January 2016. He returned to World Cup competition in December 2016, after having been away for almost a year, which led to a loss of confidence. But getting back in the start gate on a regular basis helped with that. He earned his fifth career World Cup podium in February 2017 in a dual moguls event in Deer Valley, Utah. Gagnon has competed at four FIS World Championships, the highlight being his bronze medal in dual moguls as part of a Canadian podium sweep in 2015. Mikaël Kingsbury was just a 17-year-old spectator at Vancouver 2010 when Alex Bilodeau made history by winning the first-ever Canadian Olympic gold medal on home soil. Four years later he shared the podium with Bilodeau at Sochi 2014, winning the silver medal in his Olympic debut. Since then, Kingsbury has become the most dominant male moguls skier in history. In 2016-17 he won his sixth straight Crystal Globe as the overall World Cup champion for both moguls and all of freestyle skiing. In December 2015, he earned his 29thcareer World Cup victory, breaking the male moguls record held by 1992 Olympic champion Edgar Grospiron. In January 2018, he earned his 47th World Cup victory, putting him ahead of 1992 Olympic champion Donna Weinbrecht and 2010 Olympic champion Hannah Kearney on the all-time moguls list. Kingsbury has never missed the moguls podium at the FIS World Championships, winning bronze in 2017 to follow his silver in 2015. He had been a double medallist at the latter, taking the world title in the non-Olympic dual moguls. He also stood atop the podium at the 2013 FIS World Championships, beating Bilodeau for gold in the moguls. He added a silver medal in the dual moguls. At his first FIS World Championships in 2011 he was a double medallist, winning bronze in moguls and silver in dual moguls, finishing one spot behind Bilodeau in both. Kingsbury made his World Cup debut in January 2010 and was named that season’s FIS World Cup Rookie of the Year. He earned his first World Cup victory in December 2010 when he was still just 18. While Bilodeau took a break from competition in 2011-12, Kingsbury became the king of all freestyle skiers, winning the Crystal Globe as the overall World Cup champion. Not yet 20, he was the youngest male moguls skier to ever win a Crystal Globe. His remarkable season included a record 13 World Cup medals (eight gold, four silver, one bronze) as he reached the podium in every event he entered. That included a record-tying string of six straight moguls wins. Kingsbury’s podium streak continued in 2012-13 as he won the first five World Cup moguls events he entered, including the Sochi test event. He won the first six World Cup moguls events of 2017-18, extending his World Cup win streak to a record 13 events, dating back to February 2017. At Sochi 2014 Philippe Marquis became the second member of his family to compete at the Olympic Winter Games, following in the footsteps of his older brother Vincent who had finished fourth at Vancouver 2010 where the younger Marquis was a forerunner. Marquis was named FIS World Cup rookie of the year for moguls in 2008-09. Since then, he has had to come back from two shoulder surgeries in two years. His 2010-11 season came to an early end when he had his left shoulder operated on in December. In March 2012 he underwent a second surgery on the same shoulder. Before that second surgery, however, he had established himself amongst the world’s elite, earning his first World Cup podiums and World Cup victory to finish fourth in the overall moguls standings. Marquis added to his World Cup résumé in 2012-13, when he captured the bronze medal at the Sochi 2014 test event, sharing the podium with fellow Canadian Mikaël Kingsbury. He was also one of four Canadians ranked in the top seven in the World Cup moguls standings. Marquis had his best competitive season in 2014-15 when he finished third in the overall World Cup moguls standings and won silver in the dual moguls at the world championships as part of a Canadian podium sweep. He stood on three World Cup podiums in 2016-17, bringing his career total to 12, including a bronze medal at the PyeongChang 2018 test event. Just a month before the start of PyeongChang 2018, Marquis tore his right ACL during training at the World Cup in Deer Valley, Utah. He immediately began rehab with a plan to compete in Korea. After the heartbreak of not qualifying for Sochi 2014 and instead being the first alternate, Andi Naude vowed she would do whatever it took to make it to the next Olympic Winter Games. Naude had completed her first full World Cup season in 2012-13 when she finished 14th in the overall moguls standings and was named FIS World Cup Rookie of the Year. She made her debut at the FIS World Championships in 2013 with perhaps the funniest moment of her competitive career when she lost her pants during the qualification run. She has since competed at the world championships in 2015 and 2017. Having made her Olympic debut at Turin 2006 as a 17-year-old, Audrey Robichaud returned to the Olympic Winter Games at Sochi 2014 after coming up short of qualifying for Vancouver 2010. She suffered a partial tear of her LCL just a month before Sochi 2014, but once again finished in the top 10, after having placed eighth in Turin. Robichaud has been competing on the World Cup circuit since January 2005. As a 16-year-old, she was named the FIS Rookie of the Year for moguls in 2004-05. Despite the early breakthroughs, Robichaud did not reach her first World Cup podium until January 2011 and went on to finish third in the 2010-11 World Cup moguls standings. It was also in 2011 that she returned to the world championships for the first time since 2007, posting a top-10 finish in moguls. In February 2012, Robichaud earned her first World Cup victory in a dual moguls event. Her first career World Cup moguls victory came a year later in February 2013. It would be two more years before she next stood on a World Cup podium in February 2015. That came in her 99th World Cup start in Val St-Come, Quebec where her family met her at the finish with balloons. At the 2017-18 World Cup season-opener in Ruka, Finland, Robichaud finished second for her 10th career World Cup podium. Alex Bellemare had his first international breakthrough when he finished second in a World Cup ski slopestyle event at Mammoth Mountain, California in March 2012. After finishing fourth at the 2013 Winter X Games in Aspen, Bellemare stepped onto the podium in 2015, winning the bronze medal. In February 2016, he was victorious at the PyeongChang 2018 test event of the Phoenix Snow Park. That earned him Freestyle Canada’s Most Outstanding Performance of the Year award for slopestyle. Bellemare picked up his third career World Cup podium with a bronze medal in Font Remeu, France in January 2017. He competed in his first FIS World Cup event in Silvaplana, Switzerland in March 2015. Two years later he stood atop the podium there with his first World Cup medal. He had learned a new trick for the last rail feature and performed it cleanly in both of his final runs. Harle claimed a second World Cup victory on January 21, 2018 at Mammoth Mountain, California. At Sochi 2014 Dara Howell won the first ever Olympic gold medal awarded in ski slopestyle. Howell dominated the competition, beginning with the top score in the qualification round. In the final, her incredible first run earned her 94.20 points, which gave her the victory by almost nine points. But after that highest of highs, she took most of the 2014-15 season away from skiing, although she did win bronze at the 2015 Winter X Games in Aspen. She didn’t compete at a FIS World Cup until the PyeongChang 2018 test event in February 2016 where she finished fourth. Howell continued to compete sporadically as she tried to regain her confidence and love for skiing. With the help of coaches Geoff Lovelace and Sian Angharad, she started to rise from the lowest low she had felt in her career. Evan McEachran’s heart has always been in slopestyle skiing, evidenced by the one season he broke five pairs of his racing skis while attempting to hit rails. He was also often caught building jumps at the bottom of race courses. Finally settled into freestyle skiing, he joined the Ontario provincial team at age 11 before joining the national slopestyle team in 2012, making him one of the youngest members ever in the program. McEachran stood on his first major international podium in 2014 when he won gold at the AFP (Association of Freeskiing Professionals) World Championships in Whistler. He also won the first ever SLVSH Cup in Australia, a tournament that pits skiers head-to-head with the challenge of both completing tricks they selected. Over the last couple of seasons, McEachran has become a consistent finalist. He made his X Games debut in 2015 and finished seventh at the Dew Tour in December 2016. In November 2017, he earned his first World Cup podium with a second-place finish in Stubai, Austria. He added a bronze medal to his resume at Mammoth Mountain, California in January 2018. Yuki Tsubota started slopestyle skiing in 2011, the same year that the discipline was given approval to be added to the Olympic program. Just one year after committing to it full time, she was named to the national team. At Sochi 2014 Tsubota was one of the Canadians to watch in the new Olympic event, having reached the podium in some of the world’s biggest competitions. Tsubota posted the fourth-highest score in the qualification round but in the second run of the Olympic final she crashed on the final jump. She had to be stretchered off the course and was taken to hospital where she was diagnosed with a concussion and a fractured cheek bone. She returned to Canada to undergo surgery and was back skiing within a week, although it still took her some time to be mentally ready to do inverted tricks such as the one she had fallen on in Sochi. Tsubota endured a tough 2014-15 season, feeling she’d lost her love for the sport. But she was able to finish with a couple of pro tour podiums, including a first place finish at the AFP World Tour Finals, helping her regain confidence. Tsubota earned her first World Cup podium when she won gold in Mammoth, California in January 2016. In April 2012, she had won the bronze medal at the world championships presented by the Association of Freeskiing Professionals. In December 2012, she took silver at the Dew Tour in Breckenridge, Colorado. Tsubota competed at her first FIS World Championships in 2013, finishing fifth. She went on to finish fourth at the AFP World Championships a month later. Reid Watts put Canada on the medal table at the 2016 Winter Youth Olympic Games in Lillehammer, Norway when he slid to bronze in the men’s singles event. Sitting in fifth place after the first run, he laid down the second-fastest time of the second run to stand on the podium. Watts began competing internationally on the Junior World Cup circuit in 2013-14, racking up seven medals over the next couple of seasons. He was given the chance to join the World Cup team for three races in 2015-16 and make his world championship debut just a couple of weeks before competing at the Youth Olympic Games. Watts moved to the World Cup circuit full time in 2016-17 and finished in the top-10 of the U23 division at the world championships. Just two years after he first started sliding at the Alberta skeleton school, Kevin Boyer entered his first North American Cup races in November 2012 and posted back-to-back top-10 finishes on the Calgary track. He raced fulltime on the North American Cup circuit in 2013-14, earning three podium finishes. He also competed at his first world junior championships where he cracked the top-10. Boyer started the 2014-15 season in North American Cup races before progressing into Europa Cup events. He won a silver medal in his first Europa Cup race in St. Moritz. After two more seasons on the Europa Cup, which included a bronze medal in St. Moritz in January 2016, he debuted on the World Cup circuit in January 2017 and made his world championship debut a month later. He posted career-high results in November and December 2017 when he finished 12th in Whistler and Winterberg. Channell joined the World Cup circuit in the second half of the 2014-15 season but had her breakout moment at the 2015 World Championships where she finished fourth, missing the podium by six-one hundredths (0.06) of a second. She built on that success in 2015-16, standing on her first World Cup podium in December 2015 with a third-place finish in Winterberg. She added a second-place finish in January 2016 in Park City. Both results helped her to rank third in the overall World Cup standings, despite having come into the season with a lingering hamstring problem stemming from a tear that had occurred late in the summer. Channell was back on the World Cup podium in November 2017 with a second-place finish in Whistler. In 2012-13 he was named to the national team and began competing on the Intercontinental Cup circuit, finishing third in the season standings despite competing with a torn hamstring muscle. Off-season rehab delayed his preparations for 2013-14 but he still won his first Canadian title and earned a spot on the World Cup team. He finished sixth in his first World Cup race. In January 2016, he posted a new career-best with his fifth-place finish in Whistler. In December 2017, he earned his first World Cup podium, finishing third in Winterberg in an event that was shortened to one-run due to bad weather. Greszczyszyn was Canada’s top-ranked man at the 2015, 2016 and 2017 World Championships, highlighted by his 10th place finish in 2017. But after watching Jon Montgomery win gold there, he was inspired to transition into skeleton. Instead of training his slow twitch muscle fibres with 25km runs multiple times a week, he now had to train his fast twitch muscle fibres with 25m sprints. He entered his first international skeleton race, a North American Cup race, in March 2012. Returning to the circuit fulltime in 2012-13, he stood on the podium in eight of nine races. He also won the bronze medal at the 2012 World Junior Championships. In 2013-14 he began competing on the Intercontinental Cup circuit before moving to the World Cup circuit in 2014-15. Through the 2016-17 season, his career-best result is an eighth-place finish which he has posted three times, most recently in January 2017. It is probably in Mirela Rahneva’s DNA to be an athlete. Her father was a competitive acrobatic gymnast and her mother was an elite junior sprinter in their native Bulgaria. In May 1998, the family immigrated to Canada in hopes of giving Rahneva and her two younger sisters better opportunities. Once settled in Ottawa, her father marked out a 100m sprint track on a bicycle path where he could time her. That was the start of her career as a high-performance athlete. Her sporting success first came on the rugby pitch as a standout player at the University of Guelph. She was a CIS All-Star in 2010, the same year the Gryphons won the OUA title and captured bronze at the CIS Championships. She also did a short stint with the national rugby sevens squad, which led to her being inspired by Heather Moyse’s transition from rugby to bobsleigh. Too small for bobsleigh, Rahneva was instead encouraged to focus on skeleton. She competed in her first international event on the North American Cup in March 2013 before doing full seasons on the circuit in 2013-14 and 2014-15. She graduated to the Europa Cup circuit in 2015-16, posting four wins before becoming a World Cup rookie in 2016-17. In an impressive debut season, Rahneva stood on the podium four times, starting with a bronze medal in Lake Placid in December. She added another bronze in Winterberg in January and five days later earned her first World Cup victory in St. Moritz. She also won a silver medal in Igls in February. She finished eighth in her world championship debut. In 2017-18, Rahneva posted three fourth-place finishes to go with one World Cup podium. She finished third in Innsbruck in December 2017 to stand alongside teammate Elisabeth Vathje who placed one spot ahead of her. In 2016-17, Vathje returned to the World Cup podium, taking first place at races in Whistler and Winterberg. But towards the end of the season, she had to compete through mononucleosis and a liver infection at the PyeongChang 2018 test event. Vathje bounced back to earn four podium finishes during the 2017-18 World Cup season. Among them was a second-place finish in Innsbruck where she shared the podium with teammate Mirela Rahneva. Vathje ended the season ranked third in the World Cup standings. At Sochi 2014 he was eliminated before the quarterfinals. In 2015-16, Del Bosco finished second overall in the ski cross World Cup standings for the fourth time in his career, having previously done so three straight seasons from 2009 to 2011. He underwent another surgery in the spring of 2017 to repair the meniscus in his left knee. In December 2017, he earned his 10th career World Cup victory and 26thpodium at the World Cup season-opener in Val Thorens, France. Kevin Drury made his World Cup debut as a ski cross racer in December 2015. The season before, he had been the overall Nor-Am Cup champion in men’s ski cross. His first big World Cup breakthrough came at the Olympic test event of the Phoenix Snow Park in February 2016 when he finished fourth in his first appearance in a Big Final. A week later, he won the Small Final in Arosa, Switzerland to finish fifth overall. Those results helped to earn him a spot on the national team. In December 2014, he advanced to another World Cup Big Final, placing fourth in Montafon, Austria. He ended the 2016-17 season ranked eighth in the ski cross World Cup standings, making him the number two Canadian man. Drury earned his first World Cup podium in December 2017. He finished second in the qualifying round in Arosa, which counted as the final standings after weather cancelled the elimination rounds. Before becoming an elite ski cross racer, Drury enjoyed a successful collegiate career as an alpine skier at the University of Vermont. In 2011, he was the runner-up in the giant slalom at the NCAA national championships and was a First Team All-American in the slalom. After not competing in 2013, he earned NCAA All-American Second Team honours for slalom and giant slalom in 2014. Drury first represented Canada internationally in December 2012 in Nor-Am Cup events. In 2011-12 he won his second Winter X Games medal, taking bronze in Aspen. He also had his best World Cup season, finishing sixth in the ski cross rankings thanks to two podium finishes. He matched that sixth-place overall ranking in 2014 on the strength of three podium finishes, including his first two career victories on back-to-back days in Innichen/San Candido, Italy. From 2012 to 2015, Duncan served as a skier representative on a safety panel recognized by FIS with the goal that no more skiers would be fatally injured as his teammate and often roommate Nik Zoricic was in March 2012. Brady Leman just missed winning an Olympic medal at Sochi 2014 when he finished fourth in the Big Final of men’s ski cross. That was four years after his first Olympic experience was amongst the shortest of any athlete at Vancouver 2010. He had been named as the first alternate to the men’s ski cross team and got the call to compete when Dave Duncan broke his collarbone during a training run, two days before the competition began. But the very next day Leman crashed during his own training run, aggravating a broken tibia that he had suffered in March 2009 for which he had spent the previous summer in rehab. The hairline fracture bent the rod that had been surgically implanted in his right leg. In December 2010 Leman broke his right leg for a third time, which led to two rods being implanted. That caused him to miss the 2011 Winter X Games in Aspen, where he had been the reigning bronze medallist as part of a Canadian podium sweep in 2010. He also missed the 2011 World Championships. When he returned to competition, he had almost forgotten what it was like to ski pain-free. During the entire year leading up to Vancouver 2010 it had hurt just to put his boot on. After the third injury he had to think a long time about whether to come back, but he had confidence in where he could be. The 2011-12 season was the first in which Leman was completely healthy in two years. After making her Olympic debut as an alpine skier at Sochi 2014, Brittany Phelan decided she wanted to try ski cross and she made her first international appearance in a Nor-Am Cup event in April 2014. Though others encouraged her to continue in alpine, an injury in 2014-15 solidified her decision to switch sports. After tearing her calf muscle, she couldn’t see herself going through rehab to return to alpine racing and revived her passion for sport by going all-in with ski cross, despite having to start on the development team and losing her funding as a carded athlete. Kelsey Serwa came back from several serious injuries to stand on the Olympic podium at Sochi 2014 where she won silver behind teammate Marielle Thompson for Canada’s record third 1-2 finish of the Games. Serwa had been one of the bright lights for Canada when ski cross made its Olympic debut at Vancouver 2010. With only a couple of years’ experience in the sport, she put herself into the Small Final, which she won to finish fifth overall. It was during the 2010-11 season that Serwa truly established herself as one of her sport’s elite competitors with a particularly remarkable week. On January 30, she won gold at the Winter X Games. But she had crashed through the finish line and sustained two compression fractures in her thoracic spine. Just four days later she stood atop the podium at the FIS World Championships. The latter achievement came after she had skipped out on both training days to rest and recover. Serwa ended the season ranked third in the ski cross World Cup standings. Serwa encountered more adversity in January 2012 when at a World Cup race in Alpe d’Huez, France she became tangled in another skier’s pole and ruptured the ACL in her left knee. Serwa was determined to do whatever she could to speed the healing, from buying a new mattress to having sessions in a hyperbaric chamber. She returned to competition for the 2012-13 season-opening World Cup stop in Nakiska, Alberta. Her comeback became complete two days before Christmas when she returned to the top of the podium, winning the World Cup on one of her favourite hills in San Candido, Italy. Serwa made another comeback in 2013-14 after re-tearing her left ACL during a training run at the 2013 World Championships in March, requiring her to undergo another surgery. After taking the 2014-15 season off to allow her body to recover fully, Serwa was once again a force to be reckoned with in 2015-16, highlighted by her victory at the Winter X Games. But she encountered more injury trouble in December 2016 when she overshot a jump in training, damaging the cartilage in her knee due to the extreme impact on landing. She underwent surgery, ending her season. Serwa started the 2017-18 season with a third-place finish at the World Cup season-opener in Val Thorens, France for her 19th career World Cup podium. In her first year of ski cross racing, India Sherret represented Canada at the 2012 Winter Youth Olympic Games in Innsbruck where she finished fourth. In 2012-13, she was the overall Nor-Am Cup champion for ski cross and in 2015 she was crowned world junior champion. But throughout that success, Sherret was struggling with bulimia nervosa, which she developed when she was 15. After four years of keeping it to herself, she decided to take the 2015-16 season away from skiing to receive proper treatment for her eating disorder. She returned happier and healthier, both physically and mentally, and won her first event back on the Nor-Am Cup circuit en route to another overall title. She made her world championship debut in 2017, advancing to the quarterfinals despite a crash in training that left her with sprains and bruises. Although she competed in three World Cup events in February 2017, Sherret joined the circuit full time for the 2017-18 season. She broke through for her first World Cup podium in January 2018 when she finished third in Idre Fjall, Sweden. At Sochi 2014, Marielle Thompson made sure the women’s Olympic ski cross gold medal remained in Canadian hands. After winning each of her eighth-final, quarterfinal, and semifinal heats, Thompson defeated teammate Kelsey Serwa in the Big Final for Canada’s third 1-2 finish of the Games. Since making her World Cup debut in December 2010, Marielle Thompson has become one of the world’s biggest ski cross stars. She was just 19 when she earned her first World Cup gold medal in February 2012, which happened to come on Canadian soil at Blue Mountain. She ended the season with a total of six World Cup podiums, including three victories, to give her the overall World Cup title in women’s ski cross. That put her in the history books as the first Canadian ski cross racer to win a Crystal Globe. Thompson got off to a slower start in 2012-13, but the end of her season more than made up for it. She won a silver medal at the World Cup event in Sochi that served as the Olympic test event. She went on to win silver at the 2013 FIS World Championships, putting Canada on the women’s ski cross podium for the third straight worlds. Still just 20, she was eligible to compete at the 2013 FIS World Junior Championships and won the gold medal. In 2013-14 she won her second Crystal Globe on the strength of six podium finishes in 11 races and never placing lower than fifth. Thompson competed in just three World Cup events in 2014-15, winning all of them, before a knee injury at the world championships cut her season short. She returned to the World Cup circuit in the fall of 2015, finishing second in the World Cup standings as she racked up four victories. Thompson claimed her third Crystal Globe in 2016-17, posting wins in seven of her 13 starts. That brought her career total to 20 victories in her 31 World Cup podiums. In mid-October 2017, Thompson ruptured her ACL and MCL when she fell during a training run in Switzerland and underwent surgery. Derek Livingston dreamed of attending the Olympic Winter Games since he was named to the national snowboard team in 2009. That dream came true at Sochi 2014, where he finished 19th. He was the top ranked Canadian male halfpipe snowboarder, missing a spot in the semifinal by one place. He made his World Cup debut in February 2009 at what was the official test event of the Vancouver 2010 venue at Cypress Mountain. He earned his career-best World Cup result, sixth place, in February 2011 in Calgary. Livingston competed at the FIS World Junior Championships in both halfpipe and slopestyle in 2010 and 2011, posting his best result of 10th place in the halfpipe in 2010. He went on to compete at the FIS World Championships in 2011, 2013, 2015 and 2017. In 2016, he made his first X Games appearance and finished ninth in Oslo. Livingston won back-to-back national titles in 2016 and 2017. Mercedes Nicoll had a standout performance in her second Olympic Games at Vancouver 2010 where she posted the second-best Olympic result ever by a Canadian halfpipe snowboarder (male or female) when she finished sixth. During a training run at Sochi 2014, she fell more than 22 feet onto her hip and face. With the adrenaline flowing, she got up and competed. But she had sustained a concussion that forced her out of competitive snowboarding for two years. With a lot of patience and rehab, she returned to her board and won her fifth national halfpipe title in March 2016. She was Canada’s top-ranked female halfpipe snowboarder at the PyeongChang 2018 test event and then competed at her seventh world championships. 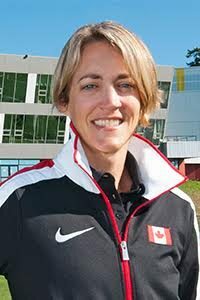 Nicoll has been representing Canada in World Cup competition since December 1999, just a couple of years after she first made the switch to snowboard from skiing. She has eight World Cup podiums to her credit and twice finished fourth in the overall World Cup standings for halfpipe (2004-05 and 2009-10). Another career highlight was her fourth-place finish at the 2010 Winter X Games Europe. Nicoll has always had a drive to make it to the next competition. That was especially important after she fell during the opening round of competition at Turin 2006. She finished 27th and knew that she needed to return to the Olympic Games. Darren Gardner finished the 2016-17 season as the top-ranked Canadian man in the World Cup parallel snowboard standings with his career-high ranking of 27th. He had made his World Cup debut in January 2010, becoming a more regular presence on the circuit beginning with the 2011-12 season. He posted a career-best result of 12th place in the parallel giant slalom in Asahikawa, Japan in February 2015. Gardner has enjoyed some of his greatest successes on the Nor-Am Cup circuit, winning the overall parallel snowboard title three times in 2011-12, 2013-14 and 2015-16. During the latter season, he reached the podium in all eight races he entered, including three victories. Gardner had been named to the national development team in 2008 before joining the national team in 2010. He competed at the 2009 and 2010 World Junior Championships, highlighted by a fourth-place finish in parallel slalom at the latter. He made the first of his back-to-back world championship appearances in 2015, the same year he competed at the Winter Universiade where he finished ninth in parallel giant slalom. At the end of the 2014-15 season, Gardner broke his ankle. He made the decision he would persevere through it in pursuit of his Olympic dream. Laurie Blouin stunned the snowboard world at the 2017 FIS World Championships when she captured the slopestyle gold medal. It took a clutch second run for her to be crowned world champion by half a point. In the big air event, she posted the top score in qualifying before finishing sixth in the final. Blouin had been world junior champion in slopestyle four years earlier when she was just 16. Blouin made her World Cup debut at her home resort in Stoneham, Quebec in February 2012. Her first World Cup podium came when she finished second in slopestyle at the New Zealand Winter Games in August 2015. She claimed another World Cup silver at Seiser Alm, Italy in January 2017. Blouin wrapped up her 2016-17 season with a slopestyle victory at a World Snowboard Tour event, the Grandvalira Total Fight, in Andorra. Blouin prides herself on pushing the level of difficulty in women’s slopestyle when it comes to her repertoire of tricks. With its flatlands, Saskatchewan may be an unlikely province to produce a snowboard prodigy, but Regina’s Mark McMorris is proof that it’s possible. At Sochi 2014, he won bronze in the Olympic debut of snowboard slopestyle for Canada’s first medal of the Games. That came just two weeks after he broke a rib at the Winter X Games in Aspen and wasn’t the last time he would have to deal with injury. In February 2016, he broke his right femur on a crash landing at a big air event in Los Angeles. Off snow for eight months, he had a stellar comeback season in 2016-17, which included a victory at the big air World Cup that doubled as the test event for the PyeongChang 2018 venue. But in late March he sustained multiple injuries in a backcountry snowboarding accident, including fractures to his jaw, left arm, pelvis and ribs as well as a ruptured spleen and collapsed left lung, meaning he would have to make yet another comeback. He won the first competition he entered, a big air World Cup in Beijing in late November 2017. As a 16-year-old, McMorris won the first ever World Cup slopestyle competition that he entered in January 2010. The next year he made his debut at the Winter X Games in Aspen, finishing second in slopestyle to fellow Canadian Sébastien Toutant. At the 2012 Winter X Games in Aspen, he won both the slopestyle and big air competitions, making him the first snowboarder to be a double gold medallist since American superstar Shaun White in 2009. McMorris enjoyed a wealth of X Games success in both Aspen and Europe over the next few years, bringing his career total to seven gold, five silver and two bronze medals through the 2016-17 season. Included in that was another sweep of the slopestyle and big air gold medals at the 2015 Winter X Games in Aspen. McMorris made his only appearance at the FIS World Championships in 2013, winning slopestyle silver. Always looking to move his sport forward, in 2011 McMorris was the first snowboarder to land a backside triple cork 1440. At the 2017 US Open he unveiled a switch backside triple cork 1620 en route to slopestyle gold. In January 2017, Nicholson earned his third career World Cup podium as part of a Canadian slopestyle sweep at the Laax Open when he placed third behind teammates Max Parrot and Mark McMorris. Just a few days later, he captured his first career X Games medal, winning slopestyle silver in Aspen. Nicholson’s season came to an end in April when he underwent ACL surgery. He returned to competition at the Dew Tour slopestyle event in December 2017. But in November 2013, she was diagnosed with rheumatoid arthritis after dealing with stiffness that turned into swollen joints throughout the year, keeping her off snow for seven months. Choosing to keep the diagnosis to herself, she was happy to just get to the Games where she advanced to the Olympic final. With medication keeping the disease under control, O’Brien fulfilled a dream by winning slopestyle gold at the 2016 X Games in Aspen for her sixth career X Games medal. She was forced to withdraw from the 2017 X Games after spraining her ankle in a collision with a course worker during training. Parrot’s meteoric success on the World Snowboard Tour, from his rookie year in 2011 to being World Snowboard Tour Big Air Overall Champion in 2014, has led to him standing on dozens of podiums. Included in that are eight medals at the X Games. In 2014 Parrot joined Mark McMorris as the second man ever to win both the snowboard big air and slopestyle at the same X Games in Aspen. Two weeks later, Parrot was the top qualifier in slopestyle at Sochi 2014 with a near perfect score. He went on to finish fifth in the final. After winning big air silver at the 2015 X Games in Aspen, Parrot won back-to-back gold medals in 2016 and 2017. He also won back-to-back big air silver medals at the 2016 and 2017 X Games in Norway. Always looking to add new tricks to his repertoire, Parrot has made snowboard history multiple times. In 2013, he laid down the first backside triple cork ever seen in an X Games slopestyle event. In 2014, he was the first to land consecutive triple jumps in a slopestyle run at the X Games. In April 2015, Parrot flawlessly performed what was thought to be impossible at the time, the very first switch quadruple. At the 2017 X Games in Aspen he landed the first ever switch quadruple underflip in big air competition. The international star known as Seb Toots turned heads when he won his first professional event when he was just 13. He was immediately recruited by a film crew who could see that he was going to make it big. Taking his first ever airplane trip, he went to Mount Hood and was captured performing tricks off the biggest jumps he had ever seen. Since then, Toutant has competed at snowboard’s biggest events and become renowned for his progressive rail skills on slopestyle courses around the world. At the 2011 Winter X Games in Aspen, Toutant became the first male rookie to win the snowboard slopestyle competition since 2002. He also won big air silver in Aspen before capturing slopestyle silver at the 2011 Winter X Games in Tignes. He had gone to Aspen with no expectations after missing the 2010 Winter X Games because of a broken ankle. While 2011-12 could be considered a bit of an off-year for Toutant, he returned to the top of the slopestyle podium at the Winter X Games in Tignes in 2013, defeating fellow Canadian Mark McMorris, who he has known since he was 14. In his Olympic debut at Sochi 2014, Toutant was among the top qualifiers advancing directly to the final where he finished ninth overall. Toutant returned to the X Games podium in 2016, winning slopestyle silver in Aspen. A week later he won big air gold at the Air + Style event in Innsbruck. Toutant enjoyed an incredible 2016-17 season that included his sixth career X Games medal, a slopestyle bronze in Norway. He also won the slopestyle events at the Cardrona Winter Games in New Zealand and the FIS World Cup in Quebec City to go with big air second place finishes at the Air + Style event in Beijing and the US Grand Prix. He added a third place finish in slopestyle at the Dew Tour. Voigt’s big air breakthrough came at a World Cup event held at Boston’s Fenway Park in February 2016 when she won bronze. Among her 2016-17 season highlights were a top-10 finish at the big air Olympic test event in PyeongChang and a World Cup slopestyle bronze at a highly competitive event in Quebec City where she landed a run she’d been wanting to do for a while. She ended the season with a second-place finish at a World Snowboard Tour event in Andorra. Zoe Bergermann made her World Cup debut in February 2013 on home snow in Blue Mountain, Ontario. In both 2012-13 and 2013-14 she finished second in the overall SBX standings on the Nor-Am Cup circuit, reaching the podium in six of seven races in the latter season, including four wins. She was all set for her first season as a national team member in 2014-15, but while at a pre-season training camp in South America became exhausted and run down. She was diagnosed with a rare form of arthritis called Still’s disease and endured months of rehab before her strength slowly returned. Her only competitive appearance in 2014-15 was her world championship debut. Bergermann made a remarkable comeback in 2015-16, ending the season as the top-ranked Canadian woman in the overall World Cup SBX standings with her career-high ranking of ninth. She was helped by her career-best result in her first World Cup back, a fourth-place finish in Montafon, Austria in December 2015. She also made her first appearance at the Winter X Games in Aspen. Through the 2016-17 season, Bergermann had eight career top-10 finishes on the World Cup circuit. Carle Brenneman has been a member of the national snowboard cross team since 2011 and was an alternate for the team at Sochi 2014. She did achieve a career highlight in 2014 when she finished fifth at the Winter X Games in Aspen after advancing to the Big Final. She made her World Cup debut in February 2009 at Cypress Mountain, competing at the official test event for Vancouver 2010. She moved to the World Cup circuit fulltime in the 2010-11 season, during which she posted her career-best result, finishing fifth in Arosa, Switzerland in March 2011. She matched that result in February 2016 in Sunny Valley, Russia. Through the 2016-17 season she had seven top 10 results on the World Cup. Brenneman got her first taste of a global championship in 2013 when she debuted at the FIS World Championships with a 24th place finish. She was the top Canadian at the 2017 World Championships with her eighth place finish. Through the 2016-17 season she has four top-10 finishes on the World Cup, highlighted by sixth-place finishes in Feldberg, Germany in January 2016 and Bansko, Bulgaria in February 2017. She competed at her first world championships in 2015. At the next worlds two years later, she suffered a crash during a training run but luckily came away with just bruises, allowing her to compete. She won the national title in 2016. Kevin Hill earned Canada’s best men’s snowboard cross finish in a decade at the world championships when he won the silver medal in 2015. A week later, he dominated every heat en route to gold at the Winter X Games in Aspen, adding to the silver medal he’d won in 2011. Also in 2014-15, he finished a career-best fourth in the overall World Cup snowboard cross standings, bolstered by podiums in back-to-back races in Veysonnaz, Switzerland. Hill’s first World Cup podium had come in December 2013 when he placed third in Montafon, Austria. A career-best second-place finish came at the World Cup in Baqueira Beret, Spain in March 2016. Hill has wanted to compete at the Olympic Games, no matter what sport, since the first time he saw them on television. He came up just short of making that dream come true at Vancouver 2010, when he came almost out of nowhere to just miss qualifying for the Canadian team. Four years later he was the top Canadian in men’s snowboard cross at Sochi 2014, finishing second in the Small Final for eighth place overall after an unfortunate crash kept him out of the Big Final. That came just a couple of weeks after he just missed the podium with a fourth-place finish at the Winter X Games. Hill made his World Cup debut in February 2009 at the official Vancouver 2010 test event at Cypress Mountain in just his second competitive season. Meryeta O’Dine earned her first career World Cup podium in February 2017 when she finished third in the snowboard cross race in Feldberg, Germany. It was her career best result since debuting on the circuit in March 2015 and the first time she had advanced to a four-woman Big Final. She had previously raced in the six-woman Big Final at the PyeongChang 2018 test event of the Phoenix Snow Park, finishing as the top Canadian in sixth place. In 2015-16 O’Dine won the overall snowboard cross title on the Nor-Am Cup circuit, posting three victories in nine events, and finished fourth at the world junior championships. O’Dine’s breakthrough in 2016-17 was not without adversity. In September she suffered a concussion while training in South America. In December she endured a bruised heel and nearly ruptured a ligament before the first World Cup. While making her world championship debut in March she suffered the fourth and most severe concussion of her career during her time trial run. She has since been focusing on her mental health to give her the best longterm results. O’Dine enjoyed one of the greatest moments of her career when she won snowboard cross gold at the 2015 Canada Winter Games in Prince George. Having turned 18 just days earlier, she had to deal with the pressure of representing her hometown on her home mountain after two years of buildup. Her family had put in a lot of labour to prepare the course at Tabor Mountain, which was a great learning experience as she still uses the course to train and develop. After having two seasons cut short due to injury, Chris Robanske finally had a healthy and successful campaign in 2012-13, highlighted by a pair of World Cup podiums including his first World Cup victory. He also competed at his first world championships where he was fourth in qualifying before finishing 12th. Robanske made his Olympic debut at Sochi 2014 where he finished tied for 17thafter being eliminated in the quarterfinal heats. He ended the season ranked a career-high third in the overall World Cup snowboard cross standings. Through the 2016-17 season he had six career World Cup podiums, including two wins.